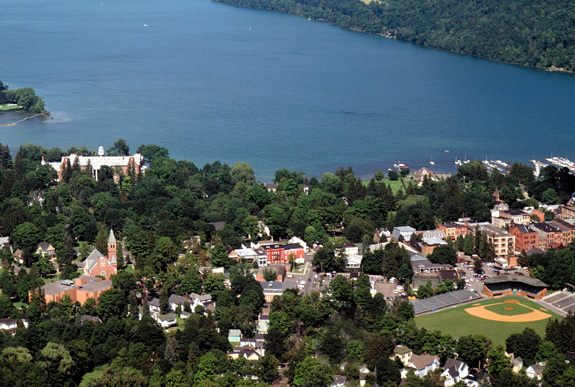 Cooperstown is a unique place that combines small town charm, with world class attractions, a beautiful lake and a “Main Street Way of Life”. For me every time I visit Cooperstown it is a “WOW’ experience. In his book “Platform.” Michael Hyatt describes a WOW experience as having some combination of the following elements: Surprise, Anticipation, Resonance, Transcendence, Clarity, Presence, Universality, Evangelism, Longevity and Privilege. This past weekend Cooperstown was in the national spotlight with the induction of Barry Larkin and Ron Santo into the National Baseball Hall of Fame. For me, it is time to reflect on this unique place. A couple of weeks ago, I had the opportunity to to visit Cooperstown for a conference and experience the beauty of Otsego Lake, the history of the Baseball Hall of Fame, a walk down Main Street and the Fenimore Art Museum. I was in awe at how Cooperstown delivered so many elements of a “WOW” experience. For me visiting Cooperstown is always a surprise that exceeds my expectations, in way that touches my heart and that is timeless. After visiting Cooperstown, i feel a renewed sense of purpose. Can you name a place that always exceed your expectations?